An interesting look at the sports event industry in Greater Raleigh, N.C., by writer Neil Amato. The main reason Becky Trojan decided to move to Raleigh is probably not the reason others might choose. "I moved here for disc golf," Trojan said of her relocation from South Fla. three years ago. Trojan, a top-notch amateur player, visited her brother&apos;s family in Apex about four years ago and got to play a round at Raleigh&apos;s venerable Kentwood Park, the local muni to area disc golfers. She was taken by the foliage, terrain, friendly people and vibrant tournament scene. Her job as a land surveyor was easily transferable to another market, so Trojan made the move. These days, instead of playing flat, "boring" courses, she finds variety in tournaments and less serious rounds, such as one a few weeks back at the Apex Nature Park, one of Wake County&apos;s newer courses. Players like Trojan are taking full advantage of countywide playing opportunities. 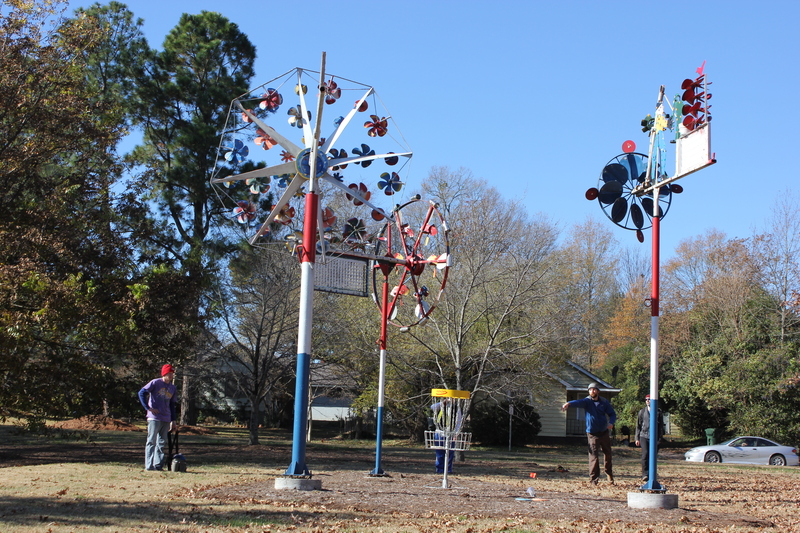 The area has top-level courses from Apex to Zebulon, making Greater Raleigh one of the nation&apos;s top destinations for disc golf. It was a glorious Sun. afternoon, one easily replicated on disc golf courses around the region, which has more history in the sport that some folks know. Kentwood&apos;s layout was built in 1983, followed by a course at Cedar Hills Rotary Park in 1984. Players who got their start on those courses have now introduced the game to a new generation. "Now that the sport is maturing, we&apos;re having a renaissance," said Mike Sink, a sports operations and programs supervisor with the Town of Cary. The sport hasn&apos;t changed much from its roots, even though "Frisbee golf" is neither the preferred nor accurate term these days. The goal remains to play a round in the fewest strokes, or throws. While plenty of people have used a flying disc to play golf, disc golf has matured since the first acknowledged course opened in Southern Calif. in 1975 with poles instead of today&apos;s metal-chain baskets. The discs players use are hard; they fly farther than your father&apos;s Frisbee. Holes-in-one from several hundred feet away happen on occasion—Edgecombe County pro Brian "Schwebby" Schweberger has career 57 aces, which he considers low compared with other regulars at Professional Disc Golf Association (PDGA) events. Schweberger plays events all over the U.S., and one of his favorite courses is in downtown Cary, but the course exists only two days a year. Schweberger has played four times in the Downtown Urban Open, an event started by the Town of Cary and the Cary Area Disc League (CADL). CADL president Jay Pontier, who like Schweberger is a pro sponsored by disc manufacturer Innova, designed a course around Cary&apos;s downtown government buildings. The tournament is each year during Thanksgiving weekend. Schweberger recorded a hole-in-one at last year&apos;s tournament, and he plans to be back for the 2016 event. "It is a unique venue," Schweberger said. "You don&apos;t get to play on layouts like this, usually ever." Pontier and the CADL are a driving force in growing the game around Raleigh—the club&apos;s motto is "Volunteer, Build, Throw, Win." 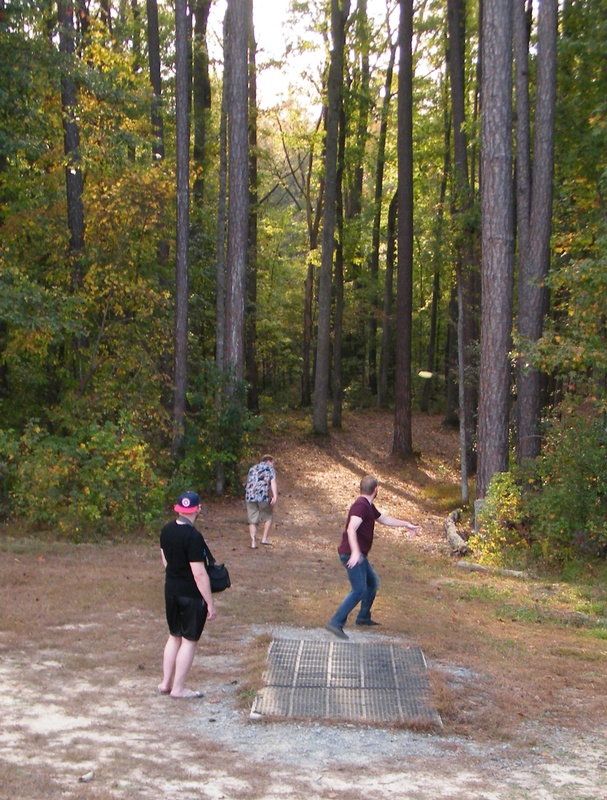 Pontier has designed permanent courses, such as the one at Jones Park in Holly Springs, and he collaborated with Raleigh&apos;s Carlton Howard, a PDGA Hall of Famer, on the design of the Middle Creek Park course that opened in 2008. CADL members update courses, such as building a practice basket at Harris Lake County Park in New Hill, and provide maintenance. Sometimes, it&apos;s weeding, or replacing tee pads. Each Jan., the group participates in the Town of Cary&apos;s MLK volunteer day, helping to cover the Middle Creek course with a new layer of mulch each year. Tournaments award prize money to pros but also raise money for charities such as the Petty racing family&apos;s Victory Junction Gang, the Food Bank of Central and Eastern N.C., and Cary&apos;s Relief for Recreation Scholarship Fund, which gives underprivileged kids opportunities to participate in all of the town&apos;s recreation programs. New courses, and possibly new events, are on the way. In western Cary, near the New Hope Church Road Trailhead Park adjacent to the American Tobacco Trail, a course is slated to open next year or in early 2018. And Raleigh has a course slated to be built at Marsh Creek Park. The addition of these courses will help ease crowding. And the "hybrid course" model, installing temporary baskets on existing land such as the acreage around WakeMed Soccer Park, is growing in popularity for major tournaments. Robert Leonard, the PDGA event coordinator for N.C., said adding sponsors is the first step toward hosting national or international events. And cooperation among venues to create temporary courses is also important. Raleigh&apos;s presence on the regional tournament scene is attributed in part to the efforts of Howard, who wrote the book on disc golf&apos;s rules. That&apos;s not just a figure of speech—he&apos;s been chairman of the PDGA rules committee. Howard also guided the first curious throwers at Kentwood when Raleigh had just two courses. "He gave us the lowdown on the game and on golf etiquette," said local player Jack Beadling. "He&apos;d say, ‘I don&apos;t want to see your hats backward, and I want to see collared shirts.&apos; He set us straight." It was at Kentwood that so many local players first heard the clink of metal chains. 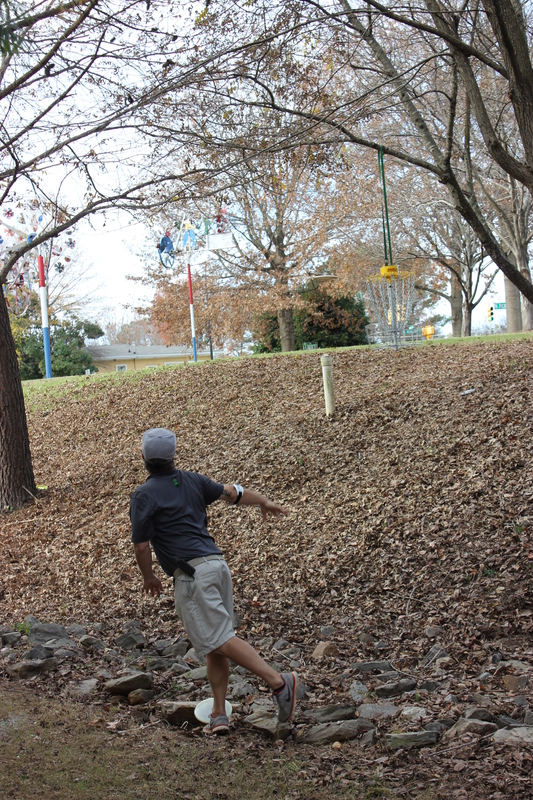 Schweberger&apos;s introduction to disc golf was there almost 20 years ago. "I know I got a birdie in my first round," he said. "You get rewarded like that, and you get addicted." 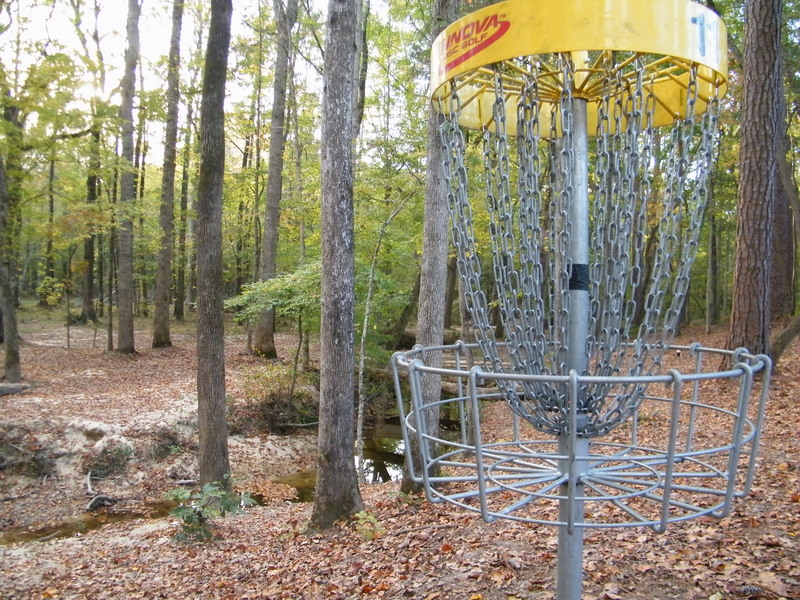 Click here for a sampling of disc golf courses in Greater Raleigh.